Growing up on the farm, my dad has fond memories of this soup from cherry season, featuring the fruit freshly picked off the tree. Though it’s not exactly the same as my Polish grandma’s, Dad says it’s “just as he remembers” (and he’s a terrible liar, so I’ll take that as a positive sign!). You can also serve it cold, with or without the noodles. Put 4 cups (960mL) of the cherries and water in a large saucepan. Bring to a boil over medium heat. 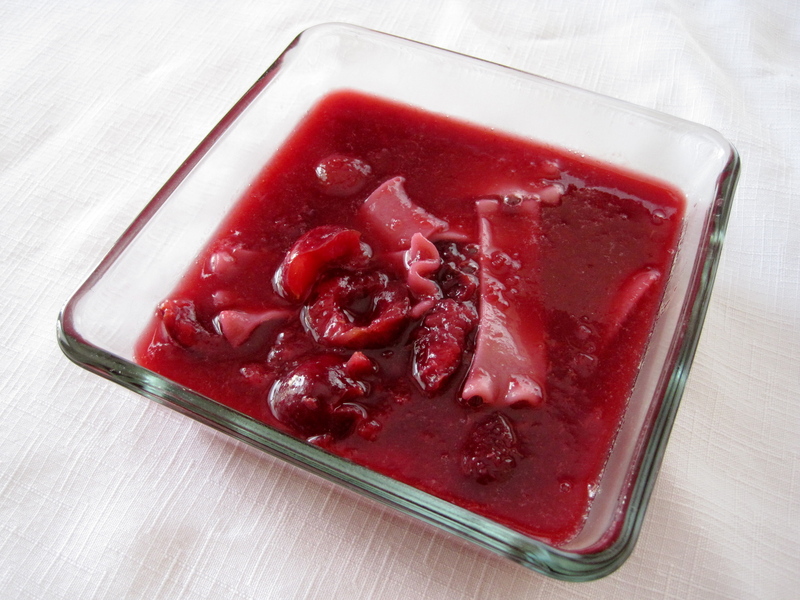 Remove from heat and using an immersion blender or transferring to a food processor, puree until mostly smooth. Stir in the lemon juice. Set aside. 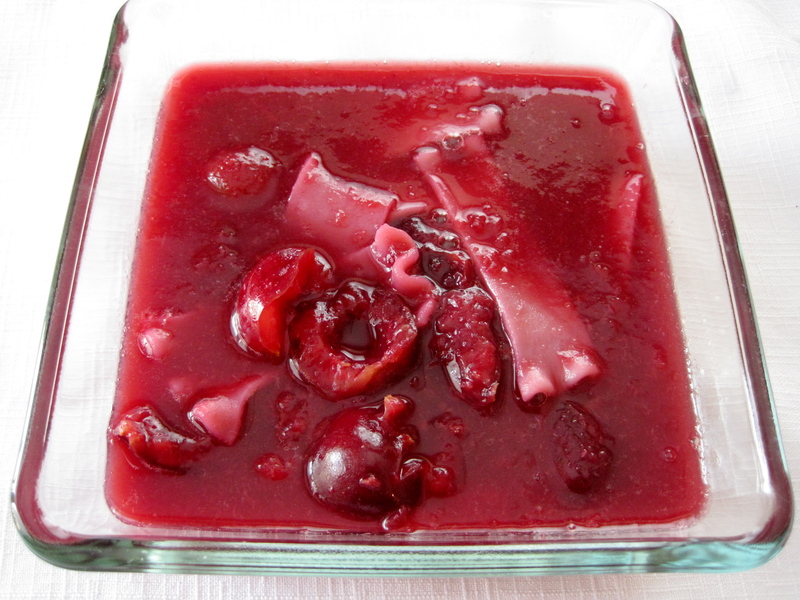 Add the remaining cherries to the mixture, pressing with a fork to slightly mash. Cut the lasagna-noodles width-wise into 3/4-inch strips. Stir them into the soup. Serve at room temperature or cold. Thanks! He loved this one. It is strange, for sure! Make it without the noodles, maybe, or make sweet dumplings instead!